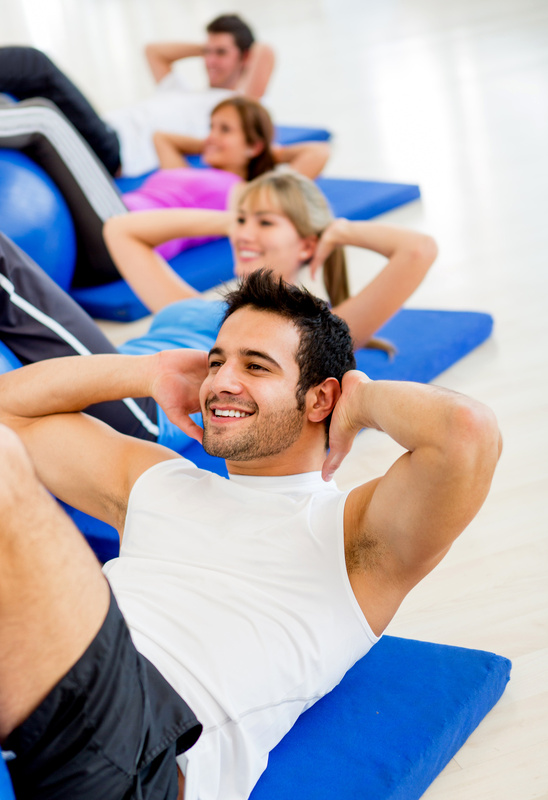 If you want firm, flat abs, making sure that you’re performing the right mix of abdominal exercises will be important. The key thing to note when it comes to strengthening your core is that variety is a must. The abs are very quick to adapt to any exercise you throw at them, so if you aren’t keeping things constantly changing, you’re going to hit a plateau. And, when you do, that’s when you’ll feel frustrated and might even consider tossing in the towel. While you should be including non-crunch moves into your plan as often as you can, there are some crunch based exercises that can deliver great results. Let’s take a closer look at what these are so that you can consider incorporating them into your protocol plan. The first crunch move to try is the reverse crunch. This one is great for targeting the lower abs, so if that happens to be your problem area, one that you’ll definitely want to get into the protocol. To do this one, you’ll simply lay flat down on the ground and then slowly pull the knees in towards the chest as far as you can go. As you do this, try and pause in the utmost contracted position before lowering the legs back down again. The main point while doing this move is to avoid using momentum to carry you through the exercise. If you do, you’ll quickly find that you are taking all the stress and tension off the abs, literally making the exercise useless. Slow and steady is the approach to take. Next, you’ll also want to include a bicycle crunch in your workout protocol as well. The bicycle crunch is great for hitting the oblique muscles, so can help you firm those ‘love handles’ you may be struggling with. To do this one, lay flat down on the ground once again and this time, bring one knee up into the chest and as you do, cross over with the upper body and aim to touch the opposing elbow to the knee. Hold this position briefly and then relax, lowering back into position. As you do, switch sides and repeat to the other side. If you can, avoid letting either your arms or legs touch the ground until all reps are completed. Finally, the last move is the accordion crunch. This one basically has you going from a completely outstretched position into a crunched position. Lay flat down on the ground with the arms overhead and legs straight. Next, bring the arms in as you start to sit up, bringing the elbows to the knees. Move into a full crunch position, pause and then lower back down again, stretching the body out as you do. Keep doing this movement pattern until all reps are completed. So there you have three great new crunch variations to try during your next workout session. Using these will help ensure that you are fully challenging your muscles and seeing the strengthening and firming results you’re after. Want to see more workout program ideas? Check out OpenFitness.com for more details.